What am I to think of this breathtaking assertion? Homeschooling is a revival? Maybe this is an isolated instance? The glaring oddity is how blithely the author equates “training their children in His ways” with homeschooling. What about those 55%+ children attending school in 1840? Don’t these men and others always point back to the glory days of education in early America? Also consider the misuse of Malachi 4:6. The author hopes this will cinch it for most readers. Yet Luke 1:16ff. clearly interprets the prophecy in a spiritual sense. Further, if homeschooling is a movement of God woe to him that resists it! One should not lightly throw weighty claims around. What was implicit is now explicit: homeschooling is a revival. But what of these rewards in heaven? Are they different from what others receive who do not homeschool? Sometimes people get too caught up in a movement. Ready? 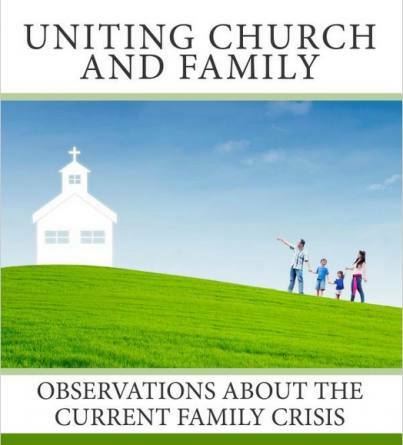 Besides wondering what a “family driven faith” entails and even if one wants a “family driven faith” (instead of a Christ-driven faith or a Gospel-driven faith), the book encourages leading, teaching, disciplining, nurturing…doing. Change the method (from lazy fathers to energized leaders) and revival comes to pass? If the fathers do but retain a false worldview, so what? Is it “beyond any doubt” that homeschooling is a reformation of life? Has rhetoric triumphed substance? It is true that homescholing can make a profound difference, but to what end? Rhetoric using triumphalisitc claims is usually suspect. It seems the claims of the power of homeschooling are only getting wilder and the leaders more desperate. Mislabeling something a ‘revival’ is very serious: it misleads people into a false hope. Read the latest book, UnChristian, and you will discover, dear reader, what Barna has known for years: 94-97% of Christians have an unbiblical worldview. No Gospel there. 57% of Evangelicals polled by the Pew Foundation deny Christ alone for salvation. No Gospel here. And homeschoolers are not exempt: Barna notes that half of them depend upon their own works for salvation. No Gospel there either. Historically, the Reformation and the first two Great Awakenings in America werenot centered on educational methods. Instead, preaching repentance from dead works and faith in the Living Savior was central. Calvin, Luther, Knox, the Puritans and the Pilgrims all promoted schooling for education and the church for revival.Today too many leaders are confusing the two agencies. The greatest event two hundred years ago was the Second Great Awakening. The Presbyterians reported revivals among their people. And even the children were revived, even in Sunday school classes. Did the leaders immediately create a “Sunday-school Integrated Church” society, promoting Sunday school as the best thing for America in one-hundred years? No, they rejoiced in the Lord and kept on preaching Law & Gospel. Biblically, there is no effort to defend these amazing assertions of revival other than flippantly quoting Malachi 4:6. That verse is dealt with extensively later. One question though: does this text mention an educational method as a catalyst for revival? These leaders ought to know their history and especially their bible. They ought to know about the dismal state of modern Evangelicalism. But if one is blinded by success, hardened to criticism or motivated to do something right now, it is easy to see America falling apart without understanding the root cause: there is little Gospel at the center of our churches. And a church with a little Gospel will have little impact upon society. Judgment begins in the house of the Lord (1 Pet. 4:17). Revival begins in the house of the Lord (2 Chron . 34).